Orthopaedics is the branch of medical science, concerned with the conditions involving the musculoskeletal systems. This complex system includes our bones, ligaments, tendons, muscles and nerves. All these tissues work with great synchronization to allow us to move, work and be active. This branch involves caring for patients with all age groups, right from newborn with clubfeet to young athletes requiring arthroscopic surgeries to older people with arthritis. 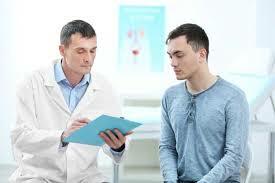 Conventionally, there are no cures available besides medications that help in relieving the pain. 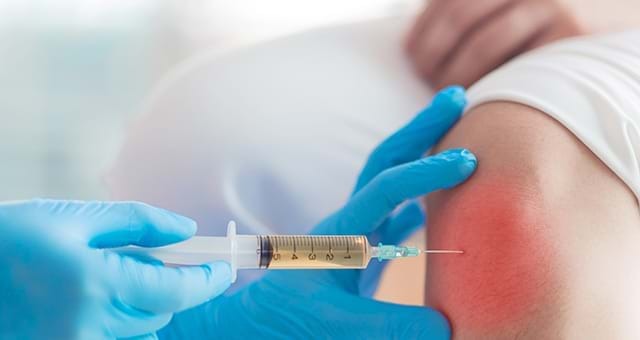 Anti-inflammatory drugs or steroidal medicines are commonly prescribed for all orthopaedic conditions, however long-term exposure to these medicines can pose other health-related complications. With advancements in modern science, regenerative therapies are the answer to such ailments that can improve the quality of life for millions. Osteoarthritis is the most common form of arthritis affecting millions of people worldwide. It is the chronic condition, occurring due to degeneration of protective cartilages which cushion the joint and bones. Osteoarthritis often gradually worsens as conventionally no cure exists for the complete reversal of damage, although some lifestyle changes such as maintaining a balanced diet, healthy weight, physical activity can promote the slow progression of the disorder. Fibromyalgia is the third most common musculoskeletal issue, after osteoarthritis and rheumatoid arthritis. In reality, fibromyalgia does not cause any severe damage to joints or other tissues. However, it is related to arthritis due to severe muscular pain, tiredness and unexplained fatigue that can have a significant negative impact on a day to day schedule. Osteomalacia is the milder form of a bone disorder which causes defects in the bone-building process. Often associated with softer bone tissues mostly due to vitamin D deficiency, Osteomalacia is a kind of physical deformity where the body has soft bones which are more likely to bend, bow or fracture as compared to healthy bones. There is no specific age limit to this particular deformity and can also happen in childhood, which is commonly known as Rickets. It is observed that this bone resorption is more in Osteomalacia due to some medical conditions such as hyperthyroidism or hypocalcemia etc. The two very important causes of the condition are insufficient calcium absorption from the intestine due to a lack of dietary calcium and Phosphate deficiency caused by increasing loss of phosphates or other minerals through urine. Osteopenia refers to the early signs and symptoms of weak bones and bone loss which can be linked up to Osteoporosis in the later phase. With adaption of healthy lifestyle changes, one can definitely prevent further loss of bones. This can be eating a healthy diet high in calcium and fibre, doing regular weight-bearing exercises, complete stoppage of smoking and caffeine intake. Osteoporosis is a serious bone disorder where there is too much of the bone loss due to soft brittle tissue or only half or little formation of bones that are required by the body. Due to excessive brittleness in the bone, bones become too weak and may even break with a minor fall. The condition is progressive to the extent that these bones may get affected even from simple actions like sneezing or bumping into the furniture. The complications associated with osteoporosis can be severe pain and lifetime deformity. For women, beyond the age of 40 years, post the menopausal phase, the body’s bone renewal process tends to slow down to the extent that the bone resorption may exceed than renewal resulting in a gradual bone decrease in the bone mass. Once this loss of bone reaches a certain point, a is believed to have osteoporosis. It has been observed that women are at the high risk of developing osteoporosis, as high as four times than men, due to their body structure associated with lighter or thinner bones. Lupus is a kind of autoimmune disorder altering the body’s immune system and ultimately resulting in swollen joints, red skins, hair loss etc. Although the symptoms associated with the diseases are painful, they do not pose any harm till the time the disease has not spread to the internal critical organs such as heart, brain etc. Adult stem cells can be recovered from our own body tissues, like Bone Marrow or Adipose Tissue/Fat, which can be recovered in larger quantities and are allowed to differentiate inside the body. Advancells helps to overcome this problem by extracting stem cells from Bone Marrow and/or Belly Fat, an area with high stem cell numbers, then concentrating these mighty cells in the controlled environment and reinjecting into the damaged area, to allow natural regeneration of damaged body parts. ACL INJURY- IS SURGERY THE ONLY OPTION? 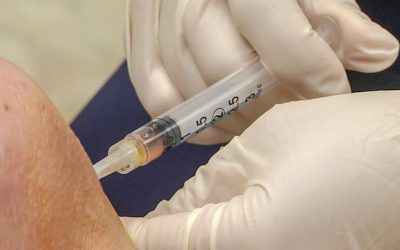 CAN THE STEM CELLS BE PUT DIRECTLY IN THE JOINT THAT IS AFFECTED OR DO THEY ALSO NEED INTRAVENOUS SHOTS? 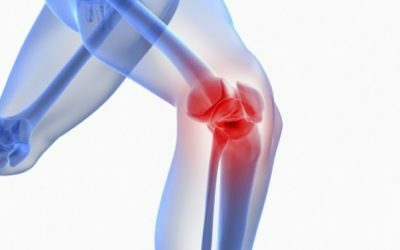 STEM CELLS FOR KNEE PAIN MANAGEMENT: A PROMISING THERAPY OR HOAX? Conventionally, there are no known cures for osteoarthritis and other chronic orthopaedic disorders besides medications, physiotherapies or as the last resort, replacement surgeries. With advancements in modern science & innovations in regenerative therapies, stem cells therapies are a great way to vastly improve the quality of life for patients suffering from Osteoarthritis and other orthopaedic disorders. Download the information pack today to understand in depth everything you need to know about Osteoarthritis and the Advancells Stem Cell Protocol.